I have been blogging since the end of July 2016, and just over 6 months later I have over 3,300 followers. I find that I gain an average of 100 followers every week. There are plenty of bloggers out there who have more than me, but I’ve spoken to loads of bloggers who find Twitter difficult. Most people will tell you that the key to Twitter is to actually chat to people rather than just dropping links to your blog posts. And they’re not wrong. However, I’ve still done pretty well for myself so far, and I am totally chat-impaired. I can’t think of anything to say on Twitter to just start a chat. I am not particularly witty and I fear commenting on current events. I’ve read loads of posts about how to grow your Twitter, and there are lots of tips out there. In this post, I’ve tried to say something different from what I’ve seen all over town. These are my personalised tips for growing your Twitter without being witty or putting loads of time in. I hope you find them useful! Be sure you have nice pictures for your profile picture and cover photo. I personally think that it’s better to have a picture of yourself as your twitter profile pic because it makes you seem more personable. It’s also important to put a clear and personality-laden description on your profile. And of course, make sure you put the link to your blog on there. It’s also a great idea to pin a post that you’d like people to notice. When I follow a new blogger, I often click on their profile and retweet their pinned tweet. First of all, make sure you are using Twitter cards. Twitter cards are when Twitter automatically adds the featured image of your blog post and its title in a nice big rectangle when you share the link. This is so important. I really don’t think anyone clicks on links that don’t use Twitter cards. If you are on WordPress.com, Twitter cards should work automatically. If you are WordPress self-hosted, you will need to use a plugin such as Yoast. If you don’t use WordPress, I don’t know how you do it, but it’s worth figuring out. Also, please make sure that your Twitter sharing button on your blog posts has your Twitter handle connected to it. This means that if anyone shares one of your posts using the sharing button, you will automatically be tagged on Twitter. If you don’t have this enabled, you won’t know if someone shared your post, and you’re missing a valuable chance for interaction. I often don’t even bother sharing posts if their Twitter handle isn’t connected. Finally, make sure your Twitter handle is easy to find on your blog. You’d be amazed how many blogs on which I’ve struggled to find it! Not everyone will agree with me, but I just can’t bring myself to automate my Twitter. Many people use tools that automatically tweet out their new blog posts, but I think that takes the joy out of it. When I tweet a link to a new post, I don’t use the title of my blog post in the tweet. I write an interesting quote or fact from the post, or I ask my readers a related question. If I tweet the post more than once, I introduce it differently each time. PLEASE never use automatic DMs. Don’t send any DM to people, automated or otherwise, simply thanking them for following, or asking them to follow your other social media accounts. I don’t know anyone who likes that. When you’re ready to drop a blog post link, spend a few minutes searching relevant keywords to see if there are any relevant hashtags you could use. It’s good to use one or two on each post. Also, check what’s trending and use a trending tag if it’s relevant (and ONLY if it’s relevant). Even though I’m not good at initiating chats or saying clever things out of the blue, I do engage with other people on Twitter as much as possible. At least once a day I scroll through my feed and retweet or favourite a few things that I like. If I see something to which I have a response, I reply to the person and start a conversation about it. When I follow someone new, I go through their feed and try to find something to retweet, just to be nice. If someone shares one of my posts – or tags me in a post that is relevant to me – I always favourite and retweet it. And I reply and thank them for sharing. 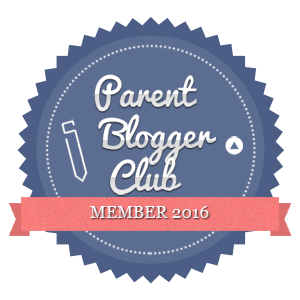 When I started blogging, I followed a load of random parenting bloggers. This wasn’t too bad of a strategy to start with. Many of them followed me back and I was able to start building relationships with them. Not everyone will agree with me, but I have a general policy of following people back when they follow me, and it’s served me well. I choose whether to follow someone back based on their profile description. I always follow bloggers back (because it’s a chance to be mutually supportive). I don’t waste time following random celebrities, news sites or anything that I don’t feel could potentially benefit my Twitter following or my blog. I follow back brands I’m interested in (but not that random mattress company in Spain). I sometimes even follow back those vaguely spammy people who claim to be SEO or content marketing experts on their profiles. I never follow back content bots (the way to spot them is when all their tweets have every word starting in caps along with clickbait-style links). I don’t follow back “normal” people who follow me because of a comp or who just tweet about their lunch or their dog. The thing that makes me totally comfortable with following freely is Crowdfire. It tells me when someone unfollows me or if I’m following an inactive account. If someone unfollows me, I simply unfollow them back. If someone never tweets, I unfollow them too. It is purely through this strategy that I’ve managed to end up following fewer people than the amount following me. If you are joining in with linkies (and if you’re trying to grow your blog, you probably should be), a lesser know fact is that they are great for your Twitter account. If you have no idea what a linky is or how to use one, please read Cuddle Fairy’s Linky Guide. The main purpose of a linky is to get comments on your blog whilst discovering and supporting other blogs. However, most linky hosts will offer to retweet the link to your post if you tag them on Twitter once you’ve linked up. And most linky hosts have huge followings, so they will be sharing your post with a huge amount of potential followers. For example, one of my favourite linkies is “Keep Calm and Carry on Linking Sunday” hosted by A Moment with Franca. Franca alone has over 10,000 followers, plus she usually has about 4 co-hosts who will also retweet you. So they will be spreading your link all over Twitter. I also join a linky called #EatSleepBlogRT hosted by Petite Pudding and Diary of an Imperfect Mum, in which the main goal is for people to retweet each other’s posts. I have only joined in one Twitter chat – #tribalchat (follow @tribalchattweet for more info) on Tuesdays at 8pm – but it has been so beneficial to me. Every time I do, I get noticed on Twitter, even occasionally by brands. I assume this is because you are being active and Twitter’s algorithm decides to show you to more people. And even better than that, I’ve actually made some really good blogging friends through doing it! The way #tribalchat works is that there is a host each time and they ask “icebreaker” style questions that all the chatters answer. They’re usually very silly and even slightly rude. Then we are all meant to interact and chat away as much as possible. You can join in as much or as little as you choose. Just remember to put #tribalchat in everything you tweet so the others will see what you write. Chat on your laptop. The chats go fast and it’s almost impossible to keep up on a phone. Check the host’s feed for the questions. Search on the #tribalchat hashtag to see what other chatters are saying. Remember to click the “latest” tab, otherwise you’ll only see the most popular things people say rather than all the things. Keep refreshing your notifications too and respond to what people say to you. Retweet anything you think particularly funny or interesting. Use GIFs because they’re funny and take up more space. 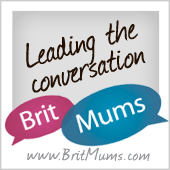 If #tribalchat isn’t your cup of tea, you could try #ukpbloggers, #tbhchat or #babybantzchat, among many others. Fellow blogger Samantha from North East Family Fun also suggested to me that joining in with local non-blogger chats is a great way to bring in a new crop of readers. I use Rafflecopter to occasionally run competitions on my blog, when I find a brand willing to cooperate. You can ask people who want to win your comp prize to follow you on Twitter and tweet about the comp. This has the potential to grow your following massively. Some compers will unfollow after the competition finishes, but many will stick around. Check out ‘Twitter chats‘ and ‘15 things I did to grow my Twitter following‘ on Me & B Make Tea’s blog. I also heard from Whinge Whinge Whine, Raising the Rings, Devon Mama, Boo Roo and Tigger Too, REOLife and Samantha Rickleton. What do you think of my Twitter strategies? What are your top Twitter tricks?